The death of Tyler and William Jensen, two years and four years, was particularly sad. The boys died from being left in a hot car while their mom smoked pot. 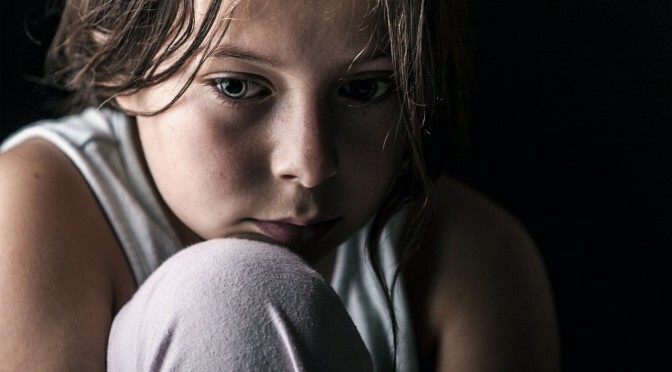 They were Colorado’s first child neglect victims of a parent’s pot use after the successful vote to legalize in 2012. It’s interesting that Heather Jensen’s lawyer defended her by claiming low IQ accounted for her lack of judgment. A long-term study indicates that frequent, early pot use leads to a significant drop in IQ over time. She was 24 at the time. Heather Jensen’s activity suggests addiction, coming from chronic use at a young age. Heather Jensen whose sons were the first child neglect victims after Colorado voted to legalize pot (ABC News). As Parents Opposed to Pot was researching this 6-part series on the deaths of little children related to pot, another 17-month-old baby was left to die in a hot car on August 11. The mother admitted to forgetting about little Avrian Villalobos when she went inside to role a joint. It was in the triple digit heat of the Texas Panhandle. Bystanders noticed the baby and called police. Daniel Gray, father of Jamison Gray, left his son in the car while he smoked pot. 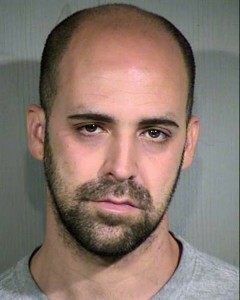 Photo: Maricopa County Sheriff’s Office. In Phoenix, Daniel Gray smoked pot and forgot about time, as his 3-month old son, Jamison Gray, died in a hot car. In El Cajon, CA, last summer, a child died because a couple left their 4-month child, while the mother smoked pot with her brother nearby. She forgot about tiny Giovanni Soto and left him overnight. In Kansas, a 10-month old baby girl died in a foster father’s care while he bought marijuana, watched The Game of Thrones and left her in the car. His partner also ignored the baby, Kadylak Jones, a foster child. Marijuana distorts the sense of time, and causes the stoner to lose the alertness required for watching young children. In contrast, a parent stepping outside a few moments to smoke tobacco would not forget about a child. Even one or two beers would not lead to such impairment. 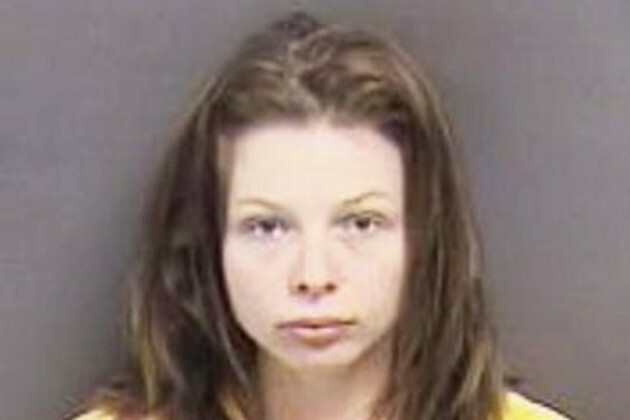 Compare a tobacco smoker to 19-year-old Catalina Clouser who smoked pot, then put her infant son on top of her car and drove 12 miles without knowing she had left him there. The baby fell off and was found still in his car seat in the middle of busy freeway–luckily unharmed. Pot made her forgetful. One would hope the mother would never use pot again, but we live in a culture that glorifies pot usage. Tassie Behrens, mother of Jason and Harley Bradford who drowned in California. Facebook photo is from NY Daily News. The mother who deeply loved her children suffered from addiction. In 2013, 16-month old Harley Bradford and 33-month old Jason Bradford died by drowning while their stoned mother, Tassie Behrens slept and ignored them. She was staying at the home of a friend who had a marijuana grow and hash oil lab, in California. Although the boy tried to wake her, she ignored her son for many hours only to find both children had gone outside and drowned in a swimming pool. The saddest part is that relatives were going to take over custody of the children the next day. In May, 2013, Amanda Reed’s 20-month-old daughter Mercediez drowned in an above-ground Florida swimming pool. Curiously, Sadie Gates, a 19-month-old toddler, had drowned in this mom’s care a few years earlier. Back then, Amanda had admitted to having smoked marijuana before the girls’ parents dropped her off that day, back in 2010. Her punishment was three years’ probation. How could it happen again? In October, 2014, she was found not guilty of manslaughter, but sentenced to lesser charges. She needed addiction treatment and didn’t get it. Marijuana is the drug most associated with being inattentive and not engaged, a terrible formula for childcare. In April of this year, Brandi Dyal passed out when her 20-month-old son, Manuel Mercado, son drowned in the backyard pool in Florida. The boy’s father was at work. Dyal asked her older child, a daughter, to lie to authorities. She tested positive for both marijuana and opiates. Pot is often used in conjunction with other drugs, which doesn’t diminish the seriousness of marijuana addiction, or changes to the brain caused by marijuana alone. Brandi Dyal was out of it when her 20-month old son fell into the pool, and later died. Photo source: Ocala Police Department. Previous PostParents’ Pot Use Leads to Neglect, Death in Fires, Part 2Next PostMarijuana Legalization Debunked!